Synthetic fibers (British English: synthetic fibres) are fibers made by humans with chemical synthesis, as opposed to natural fibers that humans get from living organisms with little or no chemical changes. They are the result of extensive research by scientists to improve on naturally occurring animal fibers and plant fibers. In general, synthetic fibers are created by extruding fiber-forming materials through spinnerets into air and water, forming a thread. These fibers are called synthetic or artificial fibers. Some fibers are manufactured from plant-derived cellulose and are thus semisynthetic, whereas others are totally synthetic, being made from crudes and intermediates including petroleum, coal, limestone and water. Joseph Swan created the first synthetic fiber. Joseph Swan invented the first artificial fiber in the early 1880s; today it would be called semisynthetic in precise usage. His fiber was drawn from a cellulose liquid, formed by chemically modifying the fiber contained in tree bark. The synthetic fiber produced through this process was chemically similar in its potential applications to the carbon filament Swan had developed for his incandescent light bulb, but Swan soon realized the potential of the fiber to revolutionise textile manufacturing. In 1885, he unveiled fabrics he had manufactured from his synthetic material at the International Inventions Exhibition in London. The next step was taken by Hilaire de Chardonnet, a French engineer and industrialist, who invented the first artificial silk, which he called "Chardonnet silk". In the late 1870s, Chardonnet was working with Louis Pasteur on a remedy to the epidemic that was destroying French silkworms. Failure to clean up a spill in the darkroom resulted in Chardonnet's discovery of nitrocellulose as a potential replacement for real silk. Realizing the value of such a discovery, Chardonnet began to develop his new product, which he displayed at the Paris Exhibition of 1889. Unfortunately, Chardonnet's material was extremely flammable, and was subsequently replaced with other, more stable materials. Nylon was first synthesized by Wallace Carothers at DuPont. The first successful process was developed in 1894 by English chemist Charles Frederick Cross, and his collaborators Edward John Bevan and Clayton Beadle. They named the fiber "viscose", because the reaction product of carbon disulfide and cellulose in basic conditions gave a highly viscous solution of xanthate. The first commercial viscose rayon was produced by the UK company Courtaulds in 1905. The name "rayon" was adopted in 1924, with "viscose" being used for the viscous organic liquid used to make both rayon and cellophane. A similar product known as cellulose acetate was discovered in 1865. Rayon and acetate are both artificial fibers, but not truly synthetic, being made from wood. Nylon, the first synthetic fiber in the "fully synthetic" sense of that term, was developed by Wallace Carothers, an American researcher at the chemical firm DuPont in the 1930s. It soon made its debut in the United States as a replacement for silk, just in time for the introduction of rationing during World War II. Its novel use as a material for women's stockings overshadowed more practical uses, such as a replacement for the silk in parachutes and other military uses like ropes. The first polyester fiber was introduced by John Rex Whinfield and James Tennant Dickson, British chemists working at the Calico Printers' Association, in 1941. They produced and patented the first polyester fiber which they named Terylene, also known as Dacron, equal to or surpassing nylon in toughness and resilience. ICI and DuPont went on to produce their own versions of the fiber. The world production of synthetic fibers was 55.2 million tonnes in 2014. Synthetic fibers are made from synthesized polymers of small molecules. The compounds that are used to make these fibers come from raw materials such as petroleum based chemicals or petrochemicals. These materials are polymerized into a long, linear chemical that bond two adjacent carbon atoms. Differing chemical compounds will be used to produce different types of synthetic fibers. Synthetic fibers account for about half of all fiber usage, with applications in every field of fiber and textile technology. Although many classes of fiber based on synthetic polymers have been evaluated as potentially valuable commercial products, four of them - nylon, polyester, acrylic and polyolefin - dominate the market. These four account for approximately 98 percent by volume of synthetic fiber production, with polyester alone accounting for around 60 per cent. There are several methods of manufacturing synthetic fibers but the most common is the Melt-Spinning Process. It involves heating the fiber until it begins to melt, then you must draw out the melt with tweezers as quickly as possible. The next step would be to draw the molecules by aligning them in a parallel arrangement. This brings the fibers closer together and allows them to crystallize and orient. Lastly, is Heat-Setting. This utilizes heat to permeate the shape/dimensions of the fabrics made from heat-sensitive fibers. Synthetic fibers are more durable than most natural fibers and will readily pick-up different dyes. In addition, many synthetic fibers offer consumer-friendly functions such as stretching, waterproofing and stain resistance. Sunlight, moisture, and oils from human skin cause all fibers to break down and wear away. Natural fibers tend to be much more sensitive than synthetic blends. This is mainly because natural products are biodegradable. Natural fibers are susceptible to larval insect infestation; synthetic fibers are not a good food source for fabric-damaging insects. Compared to natural fibers, many synthetic fibers are more water resistant and stain resistant. Some are even specially enhanced to withstand damage from water or stains. Some fabrics are also designed to stretch in specific ways, which makes them more comfortable to wear. Cotton production is resource intensive: it takes significant amounts of water to farm cotton. Wool producing sheep also need water and grazing land in order to survive. Thus it is claimed by some that although synthetic fiber production does involve some carbon emissions, the environmental footprint of many fibers is much lower. Synthetic fibers burn more readily than natural. Prone to damage by hot washing. More electrostatic charge is generated by rubbing than with natural fibers. Not skin friendly, so it is uncomfortable for long wearing. Non-biodegradable in comparison to natural fibers. Synthetic fibers are a source of microplastic pollution from laundry machines. 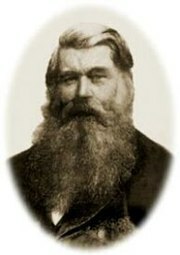 ^ "Sir Joseph Wilson Swan". Encyclopædia Britannica. Archived from the original on 7 May 2015. Retrieved 27 April 2015. ^ How It Works: Science and Technology. Marshall Cavendish Corporation. 2003. p. 851. ISBN 9780761473145. Archived from the original on 19 March 2017. ^ Garrett, Alfred (1963). The Flash of Genius. Princeton, New Jersey: D. Van Nostrand Company, Inc. pp. 48–49. ^ Day, Lance; Ian McNeil (1998). Biographical Dictionary of the History of Technology. Taylor & Francis. p. 113. ISBN 978-0415193993. ^ Woodings, Calvin R. "A Brief History of Regenerated Cellulosic fibers". WOODINGS CONSULTING LTD. Archived from the original on 22 April 2012. Retrieved 26 May 2012. ^ "World of Chemistry". Thomson Gale. 2005. Archived from the original on 28 October 2009. Retrieved 1 November 2009. ^ Allen, P (1967). "Obituary". Chemistry in Britain. ^ J E McIntyre, Professor Emeritus of Textile Industries, University of Leeds, UK (ed.). Synthetic fibers: Nylon, polyester, acrylic, polyolefin. Woodhead Publishing - Series in Textiles. 36. Cambridge. Archived from the original on 17 July 2011. ^ Katsnelson, Alla (2015). "News Feature: Microplastics present pollution puzzle". Proceedings of the National Academy of Sciences. 112 (18): 5547–5549. doi:10.1073/pnas.1504135112. PMC 4426466. PMID 25944930.